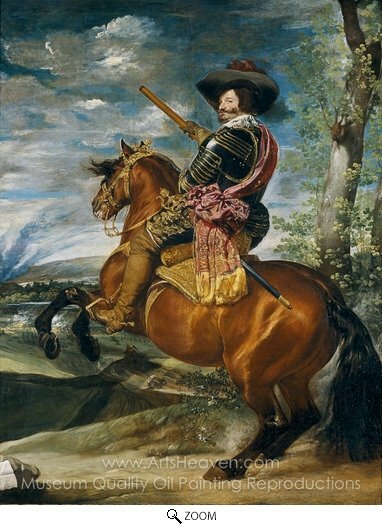 The Equestrian portrait of Count-Duke de Olivares is a painting by Spanish artist Diego Vel�zquez, finished in 1634. It is housed in the Museo del Prado, Madrid. The subject of the picture is Gaspar Guzm�n, Count-Duke of Olivares, Prime Minister of Spain during the reign of Philip III. 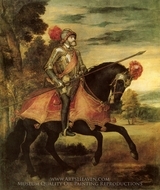 He is portrayed riding a horse, a honour generally reserved to monarchs at the time, whil starting to jump diagonally from a hill into the background of the paintings. He wears a plumed headgear and a gilted cuirass, and holds a command baton. 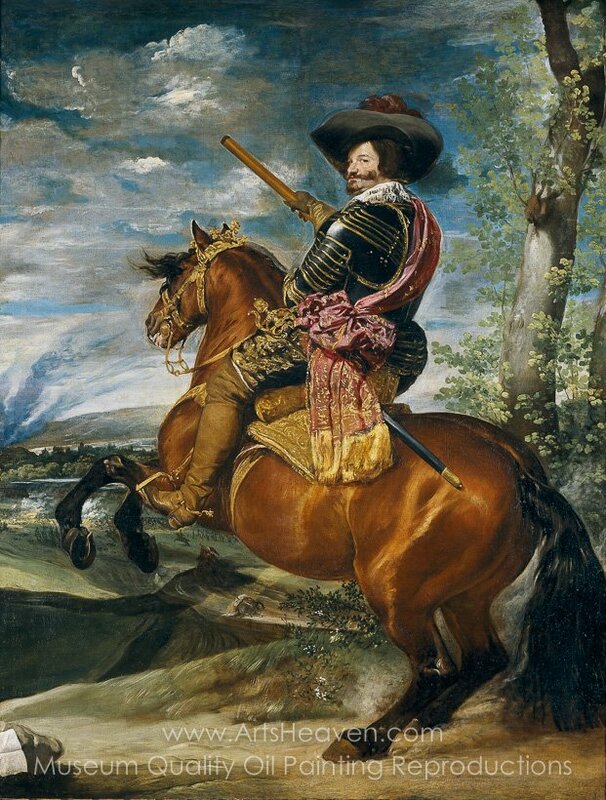 Decorate your home or office with our beautiful museum quality art reproduction of Diego Velazquez Count Duke of Olivares on Horseback painting. Why settle for a print, poster, giclee or canvas transfer when you can grace your walls with a genuine oil on canvas painting reproductions for sale at up to 75% below gallery prices. You are commissioning an authentic hand-painted oil painting on quality artists canvas. Painted by professional artists brushstroke-by-brushstroke with attention to all details. Order your Masterpiece today and get Free Shipping to your door direct from our studio.